Joan Elizabeth Ullrich Hegerty, 72, of Albuquerque, NM died on February 19, 2012 after battling complications from several hip surgeries. She was born in Warren Pa. to the late Joseph and Mary Sowa Ullrich on May 30, 1939. She graduated from Warren Area High School in 1957, and then graduated from St Vincent’s Hospital School of Nursing as a Registered Nurse in 1960. She was a very competent and compassionate nurse. While living in Warren, she worked at Warren General Hospital and Warren State Hospital. During her career in psychiatric nursing, she went back to school and completed her B.S. at Gannon University in May 1988. After moving to Albuquerque, NM in June 1988 she worked briefly at Anna Kaseman Hospital and then worked at Albuquerque Veterans Hospital until she retired in 2000. Joan loved to travel, enjoyed going to conferences and loved spending time near the ocean. Joan was very generous and always there to help when she was needed. Joan is survived by her son – Michael Hegerty of Albuquerque, NM and her sister – Helen Ullrich, also of Albuquerque. Joan was a great woman and did a great job of raising her only son. She was always there for her parents and grandparents while they were alive, and she was a tremendous help to her sister throughout her life. She will be greatly missed. 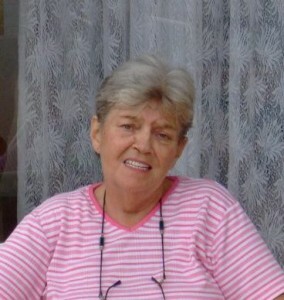 A funeral mass will be held at 10:00 am Friday, March 2, 2012 at St Joseph Catholic Church, with Rev. Fr. Richard J. Toohey, Pastor, officiating. Interment will follow in St Joseph R.C. Cemetery. Funeral arrangements are through the Donald E. Lewis Funeral Home, Inc.